Alan Marques, commonly known as “Gumby”, is a Brazilian jiu jitsu black belt under Ralph Gracie, and co-founder of On The Mat (OTM), a company that revolutionized jiu jitsu’s industry during the late 1990s and 2000s, through their unbiased and innovative approach to the sport in both their journalism and retail trade. Gumby was one of the first grappling journalists in the US, having done a remarkable job of covering the initial growth of the sport in the northern hemisphere. 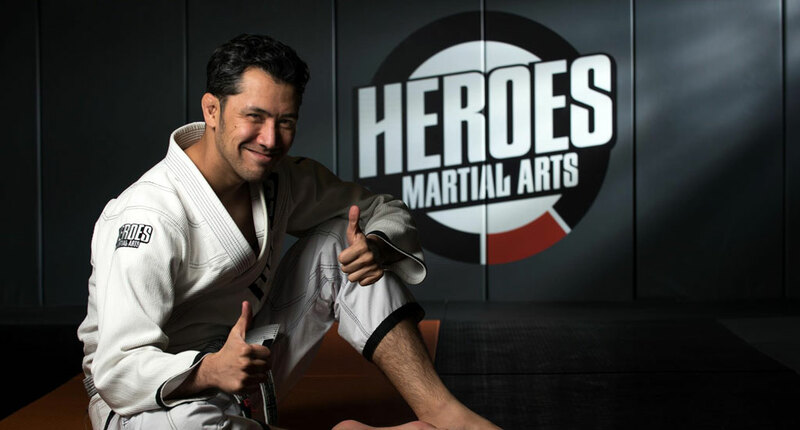 Alan Marques is also the founder of Heroes Martial Arts, one of the prime grappling academies in San Jose, California. Nickname: “Gumby”. 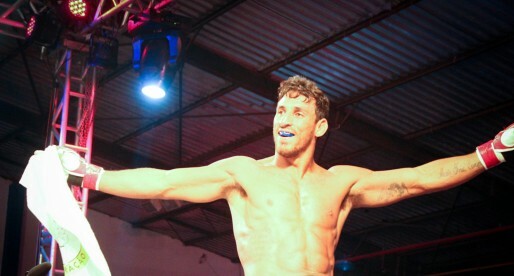 The nickname started during Alan’s high school days while running for the track and field team, though it got resurrected when Marques picked up jiu jitsu later in life. Alan was very flexible, and used his flexibility to slip out the many submissions that were thrown his way. In one particular rolling session, Alan got the entire academy watching the action, but being relatively new to the gym, many didn’t know his name. While cheering, his teammates yelled out names such as “Mr. Fantastic”, “Plastic-Man”, “Springerman” (which was what Ralph Gracie called Alan at the time), but it was Gumby really stuck to the crowd. From then on, he became known as Gumby. Alan Marques was born on the 26th of September, 1973 in Daly City, San Francisco, CA – USA. Martial arts appeared in Gumby’s life early on. During first grade Marques started being targeted by his school’s bullies, which drove Alan’s parents to seek martial arts training for their son. Even though Gumby’s preference leaned towards karate, the striking nature of the “empty hand” style didn’t agree with the Marques household and they signed him on judo classes instead. Marques practiced judo for a few years throughout his childhood, which proved to be an excellent solution to the bullying situation. Eventually as he grew older, he dropped out of class. Shortly after finishing college Alan found himself spending 10 hours per day at work, sitting in front of a computer while also leading a sedentary lifestyle outside the office. At the time (September 1996) Ralph Gracie’s newly opened Mountain View studio presented itself as the perfect opportunity for Alan to change his bad habits, and pursue a rewarding physical activity, particularly as the academy was located between his home and workplace. 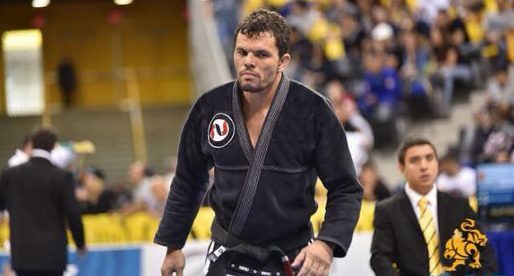 Alan Marques was well aware of grappling’s efficiency at the time, having put his judo skills to the test in a few street altercations, while being a spectator of the first UFC’s had given him sound knowledge of what jiu jitsu consisted of. Still, having one of the Gracie’s teaching nearby was certainly regarded as a fortunate bonus. We wouldn’t train until the tap, we would literally train until one of us got injured. – Gumby Marques referring to his training sessions with business partner Scott Nelson. The competitiveness, however, stopped once outside the mats, where the battles helped develop a genuine respect for one another. Scotty was a salesman at tech firm, while Alan worked at quality assurance for a variety of tech companies around the Silicon Valley. Being a more outgoing character, Nelson had much of the spotlight in the early days, though the two OTM founders were interchangeable and did whatever task was required at the time. OTM was a truly revolutionary brand in the United States both as a news source and with their clothing range, solely focussed on jiu jitsu and mixed martial arts (MMA). One of the very first companies to sell Brazilian kimonos in the US. Business took off relatively quickly, and soon Nelson quit his job to make OntheMat his full time occupation. Gumby continued funding the company with his income for a while longer, but it didn’t take long for him to join his partner in pouring all efforts into OTM. “There was a moment when Scotty and I walked into a tournament, I think it was a Copa Pacifica. We had made some T-shirts that we really made up as a goof for ourselves and a couple of our friends. It was that infamous “girls” logo that a friend had made up, and honestly it cracked us up. We really knew nothing about marketing and building an image back then, it was something we just did for fun. We walked into the gym later, and we saw a whole bunch of people wearing our T-shirt and patch on their uniforms. Neither of us had any idea how many people got to be wearing the logo. People were coming up and giving us the thumbs up and high fiving us when it dawned on both Scotty and myself that we might be on to something.” – Gumby about the OTM Girls logo. One of the big turning points for the OTM, was Scotty’s decision to move to Brazil after 9-11. Although the company’s plan was for Gumby to move with him, Alan decided to stay back and follow the sport in the US. While Scott was a great asset in Brazil, helping others relocate and bringing the top jiu jitsu talent to a larger audience, Alan’s mission was to document the growth of the sport in his own country, through blogging and video editing. In fact, OTM was one of the very first websites to host video footage (jiu jitsu or otherwise) during the late 1990s. OTM’s mantra was to promote the sport and the talent in it, to the best of their abilities. For that purpose, they would cover events in exchange for permission to capture the action. Going anywhere that would welcome OTM. At the time the line between BJJ and MMA was a blurred one, and they would often cover both combat sports, including events such as the WEC, Grapplers Quest and countless others. On December 14, 2006 Alan Marques was awarded his black belt from the hands of Ralph Gracie, the same instructor who awarded Gumby all his previous belts. In the ceremony, Ralph tied his own belt around Marques’ waist, a sign of the utmost respect inside the martial arts community. In 2009 Marques opened his own academy – Heroes Martial Arts, in downtown San Jose – California.